We all have strengths and weaknesses. If we focus on finding, developing and building our strengths instead of filling in the gaps caused by our weaknesses, we’ll be more successful. This week on EntreArchitect Podcast, How to Use StrengthsFinder to Find Your Place in Architecture with Erin Poppe of Charrette Venture Group. Erin Poppe is Charrette Venture Group‘s leadership and strengths expert. She facilitates the development of strategies that allow teams to focus on and invest in their unique abilities. Prior to CVG, she revitalized the StrengthsFinder initiative at Kansas State University and presented on Strength Engagement at Gallup’s inaugural Clifton Strengths Summit. Erin is the daughter of an architect who graduated from Kansas State University. Her parents were married on campus and then moved Washington where her dad started working for a small design firm called HKP Architects. Erin was always raised in the architecture world, knowing the language, purpose and value. Through her own studies unrelated to architecture, she began to talk to others about what makes people unique and how they can own their individual strengths. After graduating, she connected with Charrette Venture Group‘s Todd Reding. They quickly realized a real need for this conversation within the architecture community. Now she spends her time talking to people in the architecture world about what makes them great. The StrengthsFinder assessment helps to identify areas of a person’s greatest potential for success. For a long time, the conversation has been centered around weaknesses and how to become a more well-rounded person. Instead, how much further can you go by investing your energy into something that you’re naturally good at? Doing that helps people see exponential growth in the long road. The assessment is founded in research that studies a wide variety of talent functions that assess your natural areas of greatness. In about forty-five minutes, you learn the top five ways you innately think, feel or behave. 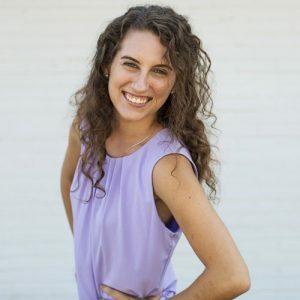 Erin’s top five strengths are: strategic, ideation, individualization, connectedness, and learner. What does that mean? It means that most of all, she’s a strategic thinker. She loves ideas, dreaming, and making connections with others who have ideas and want to take them to the next level. However, she’s not very talented in execution. Having the assessment puts this information in front of her and helps to put language to the behaviors to better communicate with those around her how she is best of value. Are all architects similarly skilled? As you can expect, industries tend to cultivate talents. So far, Charrette Venture Group has found an abundance of strategic thinkers and executers within the architecture world: they can dream up ways to innovate, and they can do it too. The gap then comes into play when they don’t excel at communicating their worth. Based on those results, Charrette Venture Group aims to encourage architects to own what they do well and adapt to fill the needs of what they don’t do well. Your strengths can change over time based on major life shifts like a new job, a move, or a different relationship. It’s not recommended to retake the assessment immediately if you don’t feel like you got the right results. How do you work with Charrette Venture Group partners on their strengths? For example, Mark’s top five strengths are: futuristic, empathy, belief, connectedness, and developer. Futuristic is more of a big picture dreamer, asking what we can do tomorrow. Empathy allows him to easily put himself in others’ shoes. Belief relates to the core values that he operates off of. Connectedness allows people to bring together and grow. Developer sees potential in everything. How do you get anything done if you’re not an executer? If you aren’t an executer, that doesn’t mean you don’t have a responsibility to get things done. If your strength is connectedness, how does getting a task done and following through on your ideas help to grow the connectedness dream you’re trying to reach? You leverage your talents to get things done. You do things that aren’t as comfortable or fun to get to the place where your strengths thrive. What would you say to people who are trying to fill in their gaps without a team? However you put your mind to something is perfect. No matter what we’re talking about, working with others helps us go further. You can stay a sole practitioner but still assess what you bring to the table and what gaps you have. Grow your talents to be the best they can be, and then maybe look into some contractors who can fill in the gaps that are needed. What does someone do if they want to look at their strengths? Charrette Venture Group will administer the tests and figure out where the strengths, gaps, and room for growth are. They support that with one-on-one interviews to dig deeper and figure out how the straights influence your organizational culture, climate and workflow. After that, if there are ways that they can come alongside the firm to help take your work to the next level, there are always those options. For the month of November, Charrette Venture Group offering a special. For $2500, they will present the analysis package to the firm leaders, including 10 access codes and 5 one-on-one interviews. Email Erin@CharretteVG.com to get set up with the information you need to move forward. Connect with Erin by emailing Erin@CharretteVG.com or find her on Linkedin.